Looking to generate data plates, industrial tags and markable labels? If you're like most of our industrial customers, you want to lower production and maintenance costs, reduce turnaround times, streamline processes and increase throughput. If you are using any of the methods above, you may be missing a valuable opportunity to improve efficient workflow and reliable delivery, quality of mark, and lower costs per marking. Laser marking is abrasion, heat and acid resistant, which is a major requirement for data plates and industrial tags. 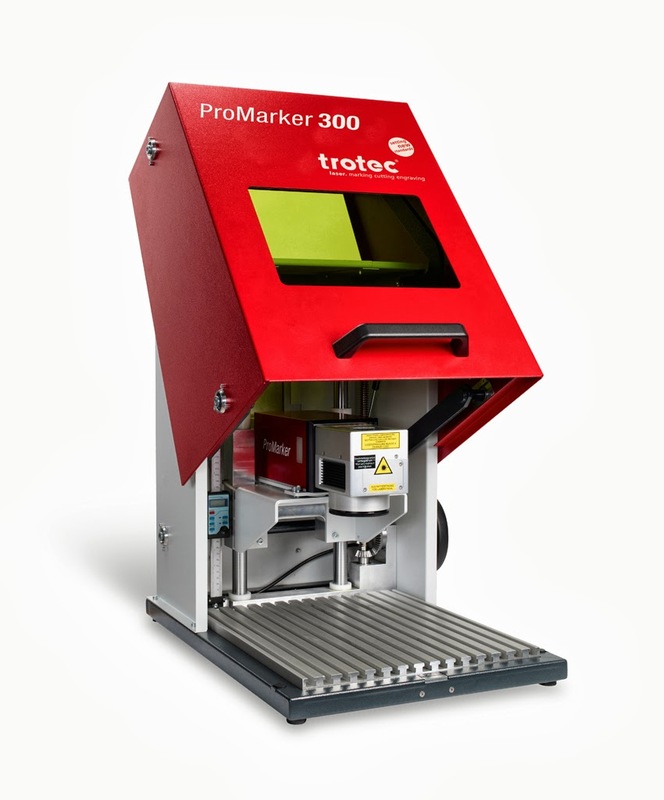 Depending on the laser parameters, it is possible to mark certain metals (e.g. stainless steels) without leaving tangible depressions on the surface (annealing). Need to process variable data? The laser is the perfect tool to mark with either just-in-time online data or with data imported from any external system (such as office programs, files, SAP, databases, etc.). Since there are no setup costs, as for example with pad printing, the costs per mark are always the same, whether you need one piece or 1000. You can work with different shapes or sizes at the same time. Laser engraving does not incur any costs for consumables such as ink, chemicals, pastes, or sprays (and therefore no disposal costs either). Lasers also save time and money by eliminating the costs and time required for fixturing that is necessary with all types of contact marking. Energy consumption is low and setup time is reduced to a minimum. The laser beam is the most complete tool for metals and many kinds of plastics. All used material can be marked directly and precisely with the laser without any additional setup or chemical additives such as sprays. Even 1-point lettering (needed for very small plates) and fine lines like technical drawings are clearly legible. It is a good idea to use a system with a software package that fits perfectly to the machines and are compatible with all graphics, CAD, label printing, and similar programs. This eliminates the need to learn a completely new software program– the whole job setup can be done in the laser software after preparing it in the daily used program. Laser technology does not require any chemicals such as inks, acids, or solvents. Therefore there is no need for costly disposal and you're not restricted by any legal environment restrictions. Due to the contact-less process and a limited number of moving parts, wear and tear can be kept to a minimum. This also saves money, and reduces downtime associated with maintenance.